How to start Data Bundle Reselling Business in Nigeria with little Capital. Would you like to make money online in Nigeria reselling Cheap Data Bundles? If yes then make sure you read this blog post to the end as i will be showing you how to start data bundle reselling business in Nigeria with little capital. data bundle reselling business, you don’t need to have a huge amount of capital or rent a shop or even have staff that you will pay monthly. You can start the data selling business right from the comfort of your room with as little as five thousand Naira or even lower amount of money with your smart phone or laptop. Even though other blogs are selling this info, i’m going to show you how to start data reselling business in Nigeria free for being a loyal follower of this blog. However, It’s however your own responsibility to work on the info given and make money with it. It might not be clear to you yet that you can make huge amount of money online with this business but i will tell you one thing, people are always searching for cheap Data Resellers. Who no like Cheap things? A whole Lot of people need data to watch videos online with their smart phones, do Whatsapp messaging, post and socialise on Facebook and other medias.These people need to stay connected to the internet at affordable rate so you have a customer base already. Your friends in school, colleagues in office, small business owners etc all have need for cheap datas and are looking for cheap Data resellers so go and fill their needs and make money for yourself. How to become a Data Reseller. To become a data reseller, all you have to do is register on a bulk data reseller website and buy data bundles packs from them and resell to your customers. But you might be thinking we have various networks in nigeria now, so can i be mtn data reseller, etisalat data reseller, glo data reseller, 9mobile data reseller etc all at the same time? It depends on the bulk data reseller you are buying from. Some sell just a single network so you can be only mtn data reseller if you register with a bulk mtn data reseller website and so on. But there are others that sells all the networks. The decision of the data bundle type to sell is yours to make depending on the people that will be buying from you so choice wisely or just register with a cheap data bundle reseller that is selling all the networks to be able to serve a wider range of customers. Where to Buy Data in Bulk for resale. There are various websites where you can buy data bundle reselling pack some genuine, some scam so you have to be careful where you are buying from. For the purpose of this blog post, i will recommend you start with Mobilenig data. MobileNig data is owned by RAOLAK TECHNOLOGIES NIGERIA LIMITED (RC 1461693) and they offers best deals when it comes to cheap Data bundles, Bulksms, Bitcoin, Perfect money, Bills payment like GOTV, DSTV & STARTIMES. The Mobilenig Data is a very good company to start your internet bundles selling business and once you register, you will be assigned an Account Manager that will help you resolve issues with your transactions or complete your orders fast. How to start Data Reselling Business in Nigeria with MobileNig. 3. 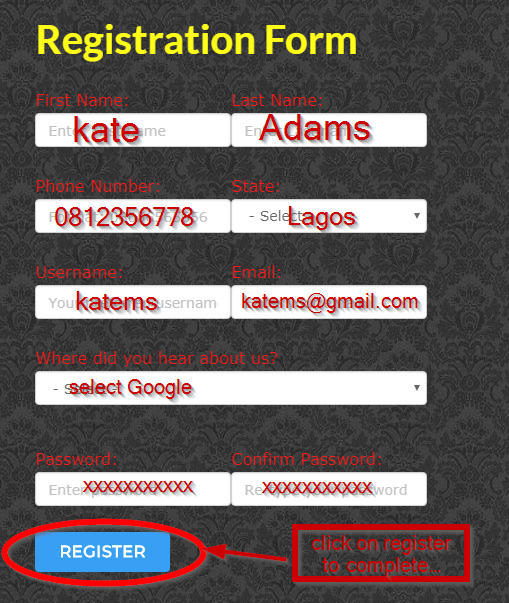 Fill the registration form with your info and click on register. account and start selling your data. my account,click the drop down menu and click fund wallet. 3. Follow the instruction to fund your wallet. How to buy data in bulk for resale with your MobileNig Account. have to add certain amount for your own profit before reselling to your customers. Some add 50 naira, some 100 naira etc So it depends on you to check the price list and see how much you are buying from MoobileNig Data and then decide how much you want to sell to your customer. Since you already credited your wallet, you have bought the data bundle or bulk data from MobileNig, your customer will pay you cash that is the amount Mobilenig is selling to you plus your profit. You bought the 5Gb from MobileNig data at N2,700 and your profit of N150 = N2,850 you are selling to your customers. Now let see how you will send the Datas to your customers once they pay. for it. Once you click buy data, the amount will be deducted from your wallet balance. 6. 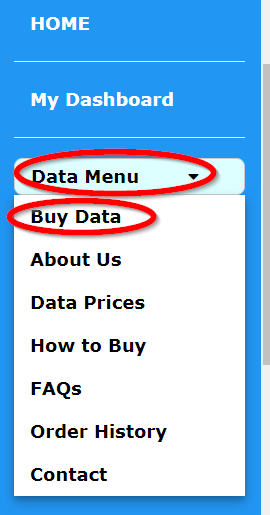 Lastly click buy data. That is how to start Data reselling business in Nigeria and please note that you can also buy recharge card, bulk sms and do Pay tv subscription like startime, dstv,buy bitoin etc with MobileNig. If you will like to get paid everytime you recharge and earn 20% commission per referral, you can click here to join the recharge and get paid .